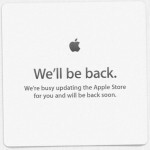 Earlier today, we told you the Apple Online Store was down. Moments ago, however, Apple reopened its virtual doors, revealing an updated storefront at which the company's iPad and iPad mini are advertised ahead of Father's Day on Sunday, June 16, 2013. 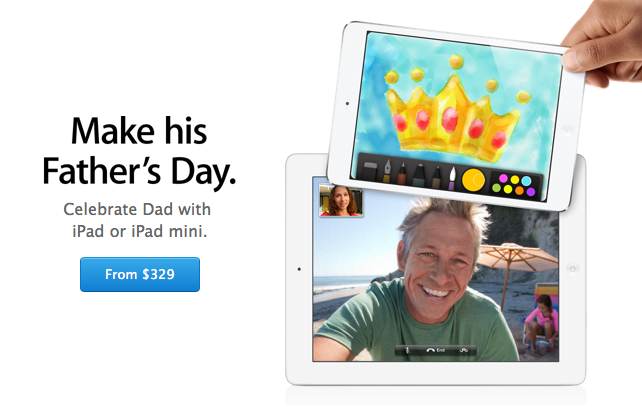 The updated Apple Online Store now bears the heading "Make his Father's Day," adding: "Celebrate Dad with iPad or iPad mini." 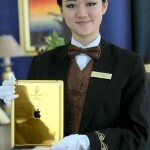 The iPad section of Apple's website has also been modified, and here particular emphasis is placed on the free laser-engraving service offered when customers purchase an iDevice online: Further down on the Apple Online Store's main page, Apple also includes a dedicated "Father's Day Gifts" section, where products such as the Nike+ FuelBand, the Nest Learning Thermostat, and a number of other iDevice-compatible accessories are advertised. 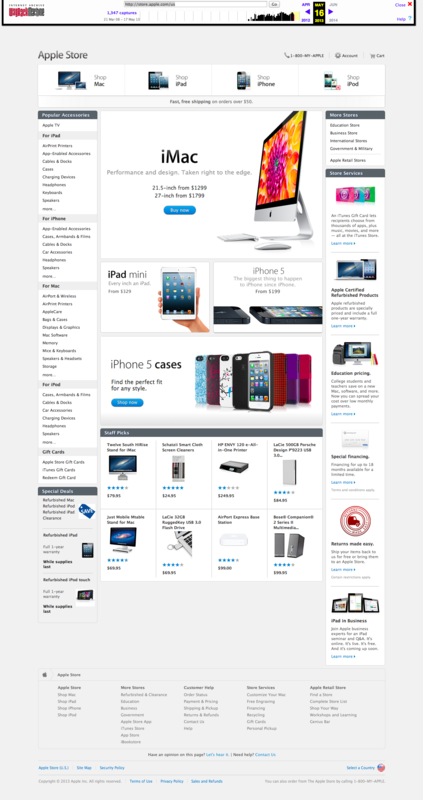 More generally, however, Apple has also made a number of subtle design changes to its Apple Online Store layout. Most notably, the sidebars to the left and right of the store's main page have now disappeared. See the Apple Online Store's page layout before and after the update, via @viticci, to get a better idea of the alteration. To check the new Father's Day-themed storefront, visit the recently updated Apple Online Store. Alternatively, if you're rather planning on giving a virtual gift this year, see our "Apps For Father's Day" list. Are you thinking of purchasing a Father's Day gift from the Apple Online Store? See also: Unity Makes Developer Tools Available Free For Indie Devs, Tell It With Photos, Videos And Stickers With GREE's Newly Updated Tellit Messenger, and You Can Now Save Your Favorite Web Content To Evernote With Webnote.